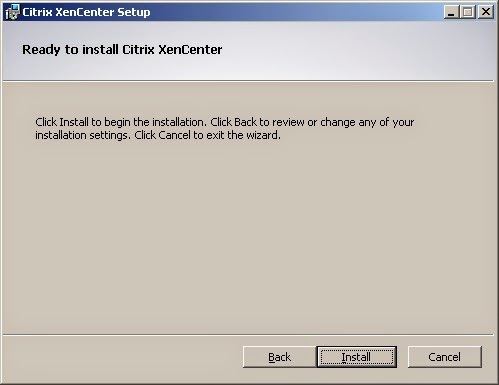 So now let me take you through the installation process for XenCenter where I can show you how to connect and manager your newly configured XenServer. 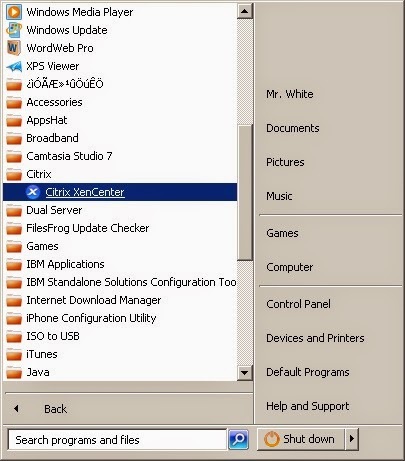 Launch XenCenter from the Start menu. 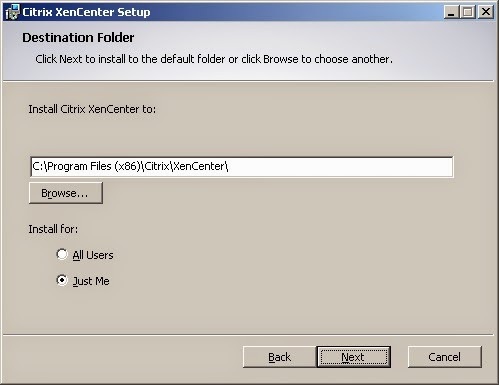 Here’s how XenCenter looks like (see image below) before any hosts, resource pools, and so on, are added to it. 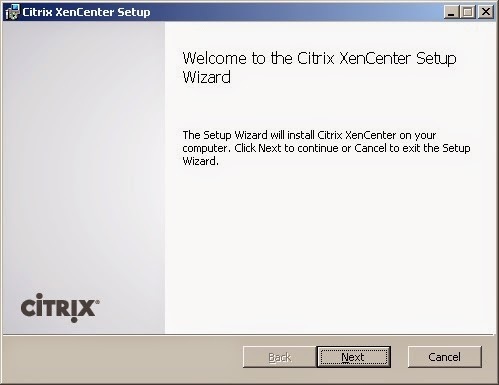 To connect to the XenServer host you configured earlier, click Add a server. 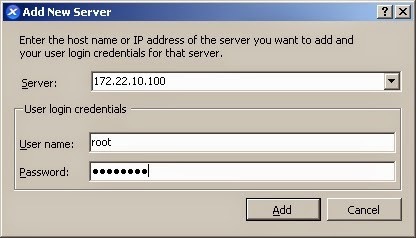 Enter the IP address of your XenServer; enter the password you assigned for your root account. 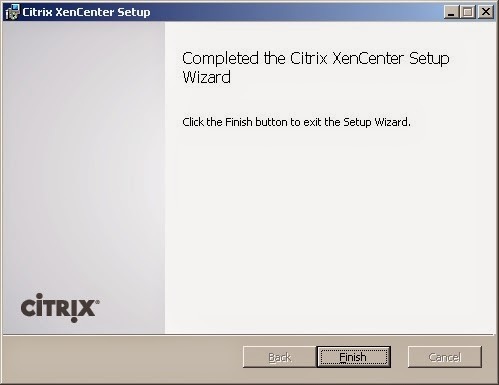 After you click OK, you’ll be brought back to the main screen, where you’ll see your XenServer already added to XenCenter. 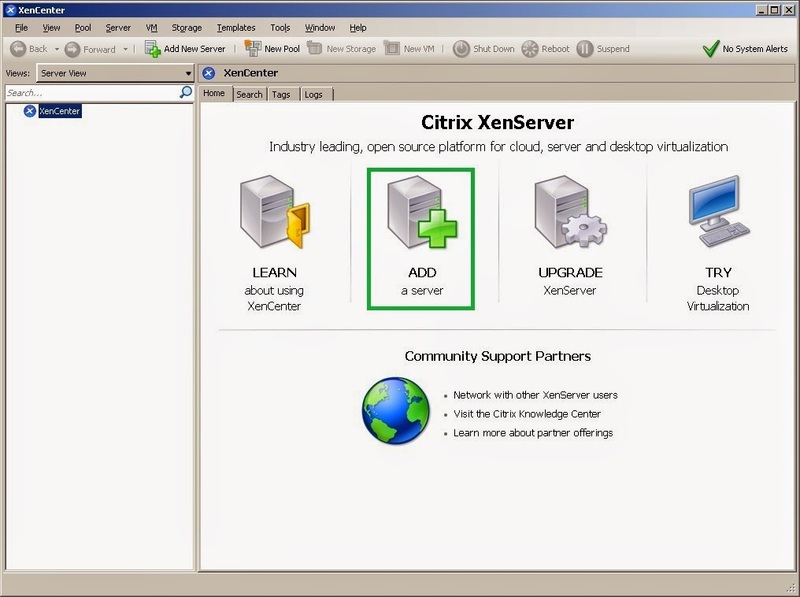 Now you can configure all of the settings of XenServer from a GUI. You can create and manage all virtual machines from this console.